Tomorrow’s Workplace: forces and trends affecting the future of work. The pre-forum event included a special speech by Bill Gates announcing the partnership between the Gates Foundation and the Misk Foundation for the “Misk Grand Challenges”. Over the next three years, Misk Grand Challenges plans to launch new challenges every six months, offering 100 innovators across the world a grant of $100,000 to develop their ingenious ideas into reality. 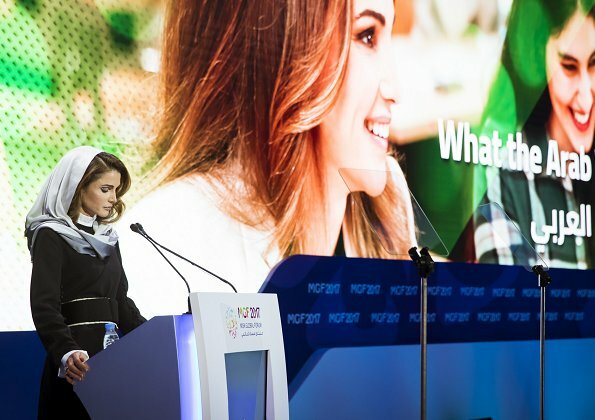 Her Majesty Queen Rania of Jordan later kicked off the forum with her speech: “Children have a boundless ability to dream, even in the tightest of places”. She outlined the challenges that many children in the region are facing now with the rise of extremism, and the need to support them now more than ever. In the midst of discussing the future, Basilinna’s CEO, Deborah Lehr joined the panel discussion: Planet Earth, Our Shared Responsibility. The panel was moderated by John Defterios, CNN Money Emerging Markets Editor. Along with her co-panelists, they addressed the importance of preserving the planet and using innovative approaches to ensure a future for the youth and the planet on which we all live. Renowned Oceanographer, Dr. Sylvia Earle, gave a keynote speech within the panel stating, “we are all a part of, not apart from nature”. Lehr emphasized the importance of public-private partnerships for sustainability and growth. The two-day forum included luminaires and seasoned experts in various fields providing youth with support, encouragement, and innovative insights in answering the problems of today and meeting the challenges of change.